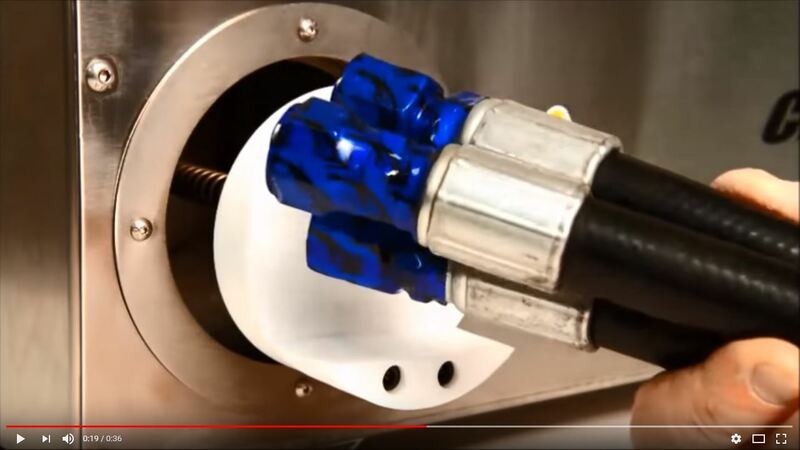 High-Pressure Hose Support Center | ProPulse—a Schieffer Co.
ProPulse has gathered a variety of company and product resources, right here—all in one convenient place for you. 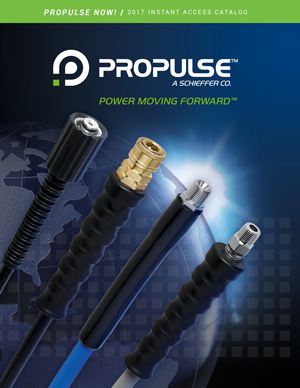 The support center page gives you quick access to ProPulse’s brochures, product specs, hose catalogs, videos, .pdfs and more. Technical service teams and customer support representatives are available to assist you Monday—Friday 8:00 a.m. to 5:00 p.m. (central time) at (563)583-4758. 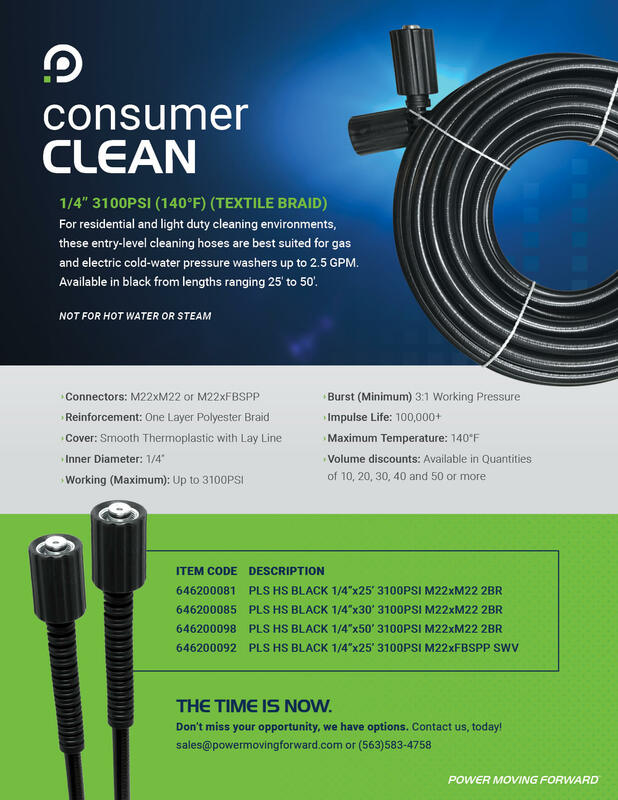 Explore a catalog, download a product spec sheet or simply contact us with a question. Want a hard copy mailed to you? No worries, we can do that too. 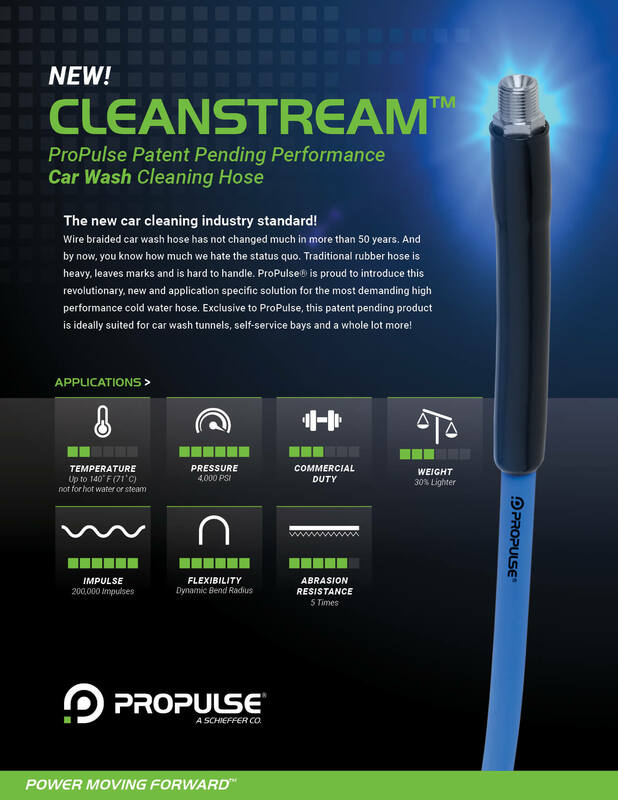 ProPulse stocks over 150 of the most widely used hose assemblies for six vertical markets: commercial cleaning, consumer cleaning, carpet cleaning, carwash cleaning, sewer jetting and drain cleaning. 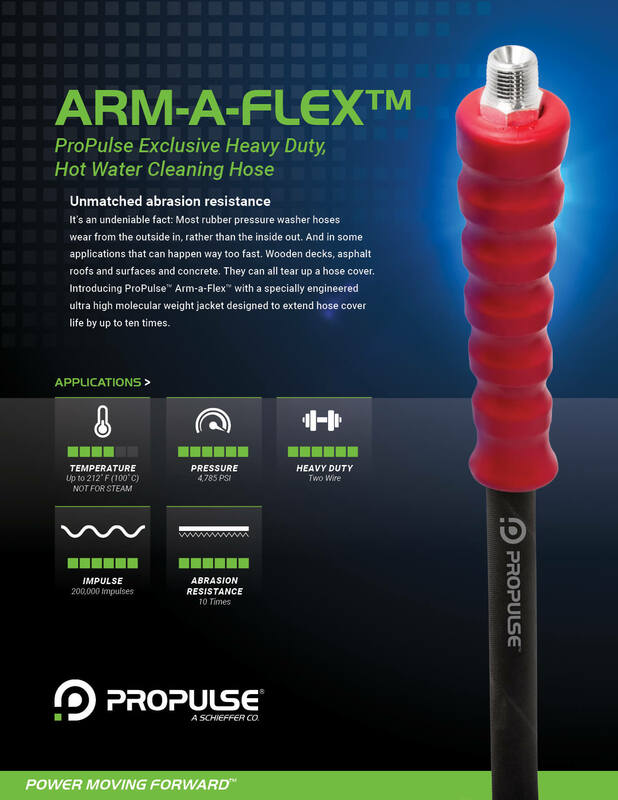 ProPulse hydraulic hoses are strong and long-lasting, right for many applications. 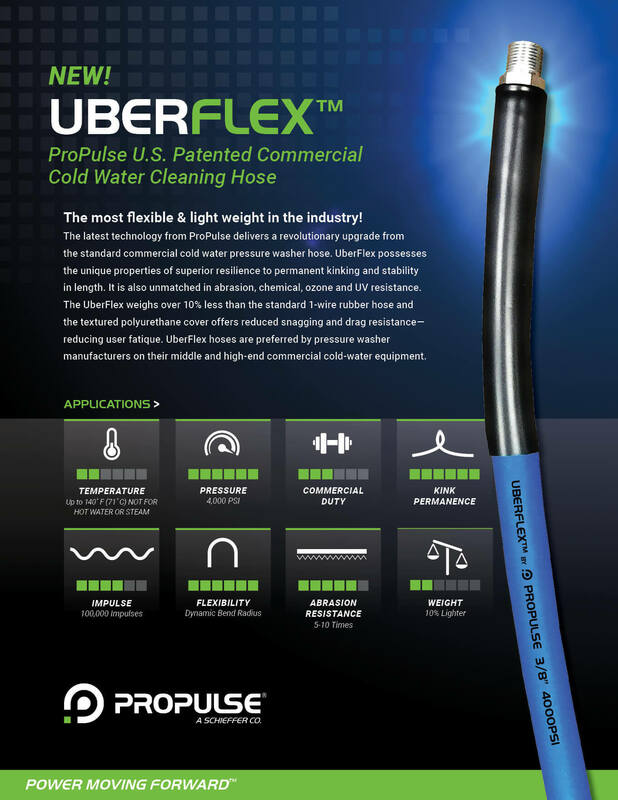 The catalog has over 80 pages of hoses of hydraulic hoses and fittings. Uptime Matters. 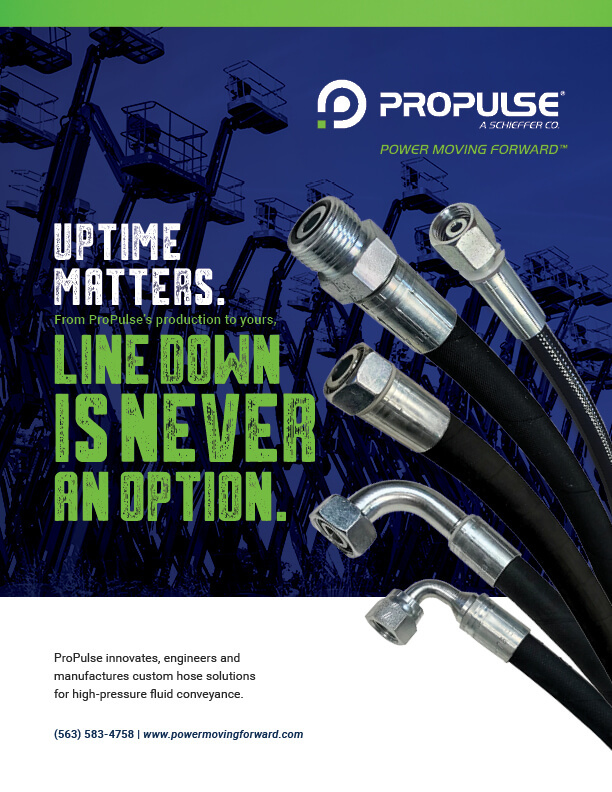 From ProPulse’s production to yours, line down is never an option. 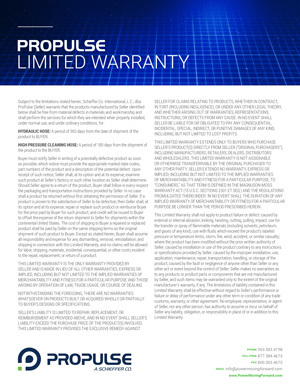 This 16 page brochure dives deep into ProPulse’s controlled performance, longevity, technical excellence, continuous improvement and powerful partnerships. 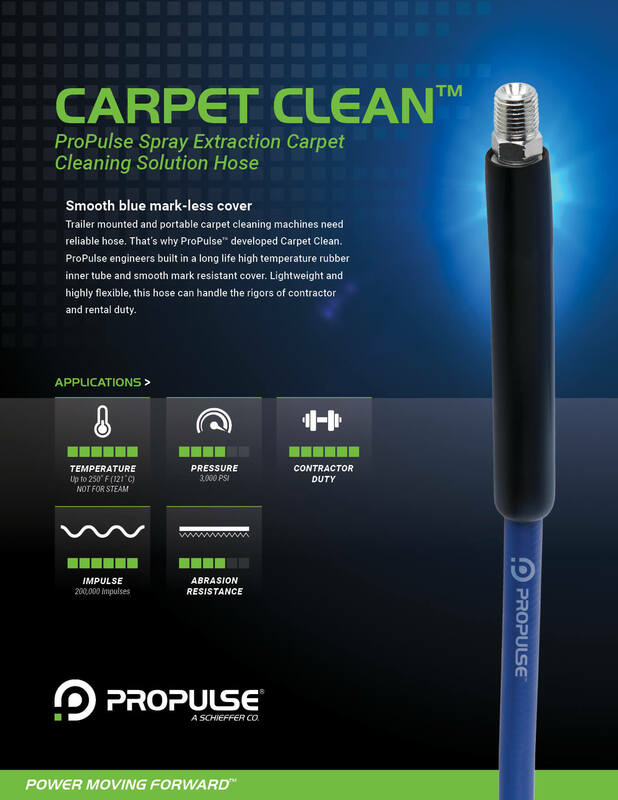 It truly highlights who ProPulse is, where they came from and where their company is headed. 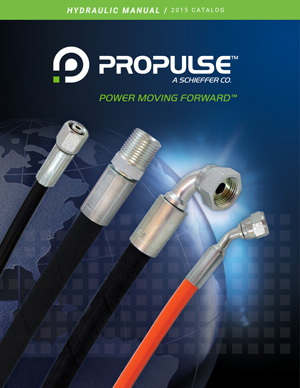 ProPulse hydraulic hoses are strong and long-lasting, right for many applications. 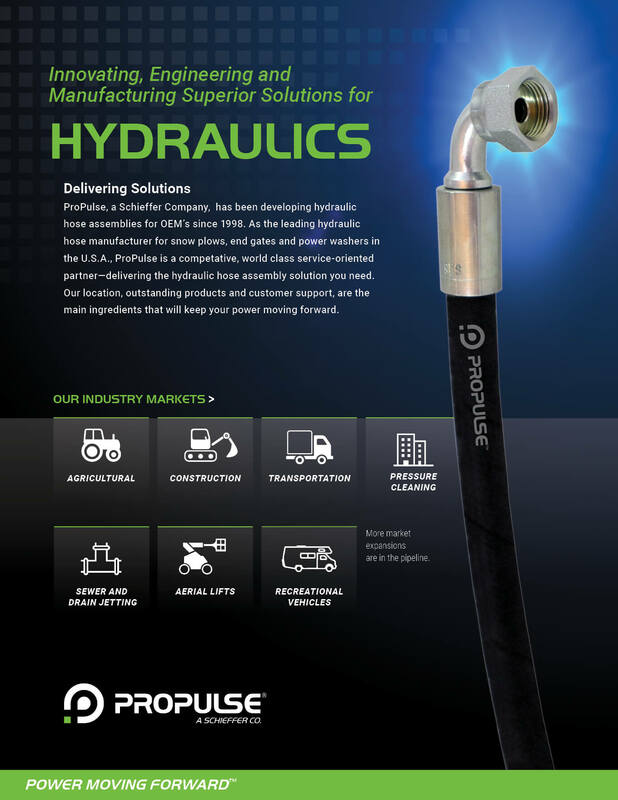 Our catalog has over 80 pages of hoses of hydraulic hoses and fittings. 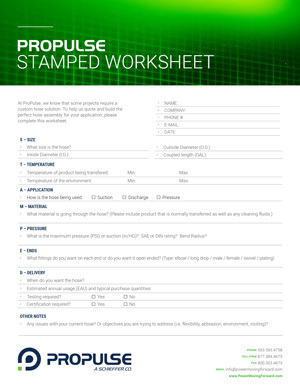 ProPulse knows some projects require a custom hose solution, therefore, in order to help us quote and build the perfect hose assembly for your application, please complete this worksheet or fill out and submit the online STAMPED Form. Have a question or looking for something specific? Send us a message, we’ll provide you with what you need.